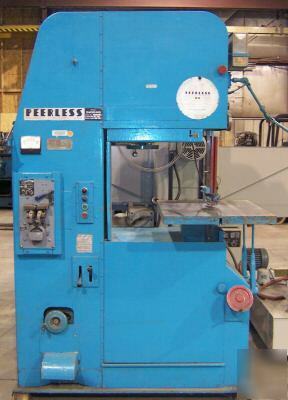 We are adding to our store, the following: Peerless, Model 2400MS, 24" Heavy Duty Vertical Saw, S/N MS-24-100-67. Throat dimension is 24". Table size is 24" L-R X 28" F-B. The blade drive system is via a three (3) speed gear box plus a variable speed drive giving a blade speed range from 35 SFPM to 6,000 SFPM. 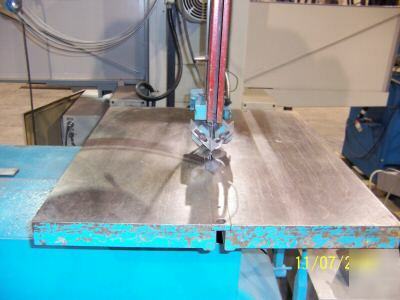 It will accommodate blade widths from 1/16" to 1 1/2". 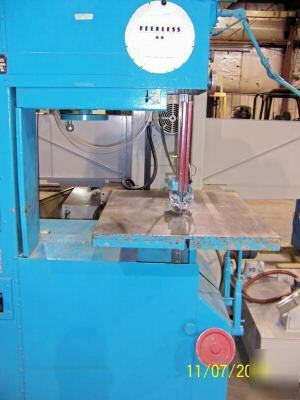 The saw is equipped with a Blade Speed Indicator, Blade Cut-Off, Welder, Grinder, and a weighted feed system that is presently disconnected. Overall dimensions are 57" L-R X 37" F-B X 88" High. 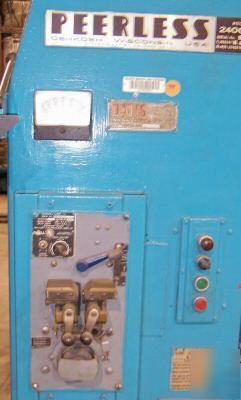 Electrical requirement is 460V/3PH/60CYC. 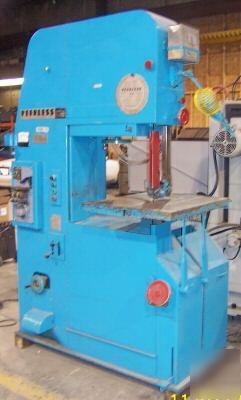 This is a real fine operating, very heavy duty, ruggedly built Vertical Saw. It weighs about 3,500#. We have used it many times since it arrived at our warehouse about a year ago. 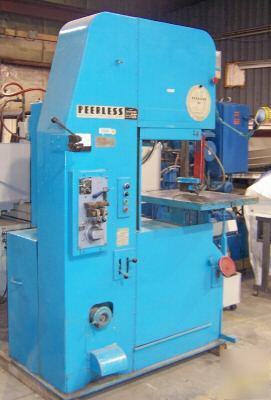 Machine Tools of America and you can contact us by phone at for Bruce or for Mike. Our fax is and the office is , but we’re seldom there.